When you see a famous and popular person on television, in the movies, or in person, the glow of success can sometimes eclipse their more modest roots. But the genuinely successful do well to remember their origins. Global Christian communicator Luis Palau remembers his, and he’s grateful to those who helped him along the way. This biopic, in theaters April 4 and 6, could inspire you to dream big, as he did. 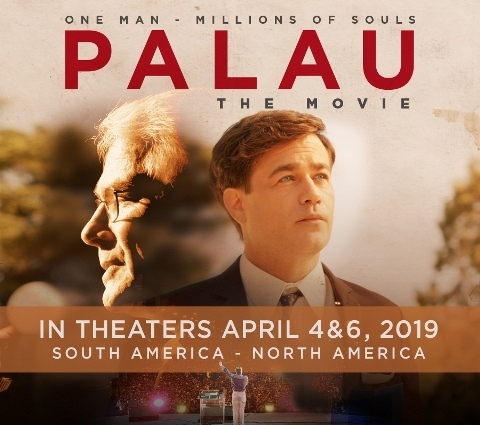 Palau has told stories about Jesus to millions of people worldwide. From New York City’s Central Park to London’s streets, Holland to Honduras, Bogotá to Beijing…multiplied thousands have packed stadiums, auditoriums, beaches and parks to hear his message of hope, grace, and faith. He’s touched millions more via radio and television. But his reach wasn’t always this wide. In fact, as a ten-year-old boy in Argentina, his future seemed a swirl of confusion. At boarding school, Luis received news that his father was ill. Before he could return home, his father died. Financial mismanagement by a relative plunged the family into economic chaos. Things got so tight, he recalls, that sometimes his large family had to split a loaf of French bread or carve one steak into eight parts as their dinner. But buoyed by his mother’s faith, the family survived. As a young man, Luis worked at a bank. But his real passion became helping people find God. His dream was speaking to masses of people across Latin America and beyond, but how to start? Open-air speaking in Argentina gave him his initial experience. Ray Stedman, an admired American pastor, arranged for his education in Oregon. There he met and married Pat. Major Ian Thomas, a British speaker, encouraged him to pursue his goals, as did Billy Graham, for whom Luis interpreted from the platform in Fresno. While serving as a missionary in Colombia during politically dangerous times, he spoke at a major rally in the capital, Bogotá. Thousands heard his message of God’s love and forgiveness. He was on his way to global influence. Palau includes touching segments of inspiring personal and family reconciliations. Disclosure: I’ve known Luis since 1983 and have collaborated with him and his organization numerous times, so I’m biased. But two stories may help covey my appreciation that he’s not forgotten his roots and is eager to encourage others developing in similar work. In 1983, he was a featured plenary speaker at a large communicators convention in Amsterdam. I led a workshop at which Luis was also assigned to present briefly. My efforts to reach him in advance to discuss arrangements had faltered, so I approached him after his plenary speech – along with, as it turned out, a mob of his admirers at the stage. When I finally worked my way to the front and introduced myself, he immediately – and quite warmly – assured me he was happy to fit in and serve as needed. Humble, not haughty. His kindness won a friend that day. Over the years, I’ve connected with him on three continents. Same humble guy, but always enthusiastic about Jesus and spreading his message. Same encourager. After my first wife divorced me – often a kiss of death in faith-related work; I felt like, alas, some Christians shoot their wounded – I ran into Luis in Washington, DC. His huge bear hug and warm reassurance to persist in my work helped inspire me to keep at it. Though now battling lung cancer, he’s still eager to help people come to faith. Seeing the film about his life could inspire you toward similar impact. 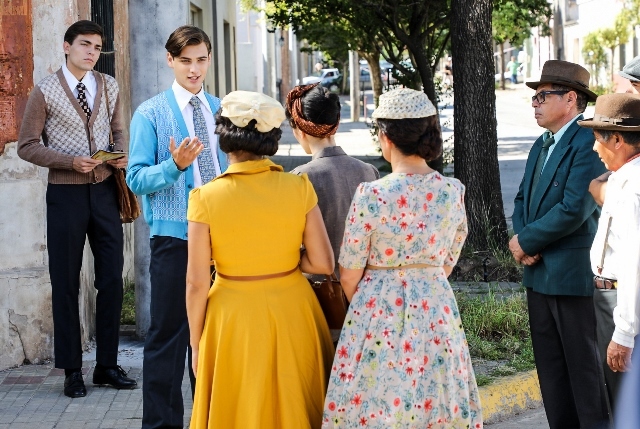 A young Luis Palau (Santiago Achaga) speaking in Argentina. 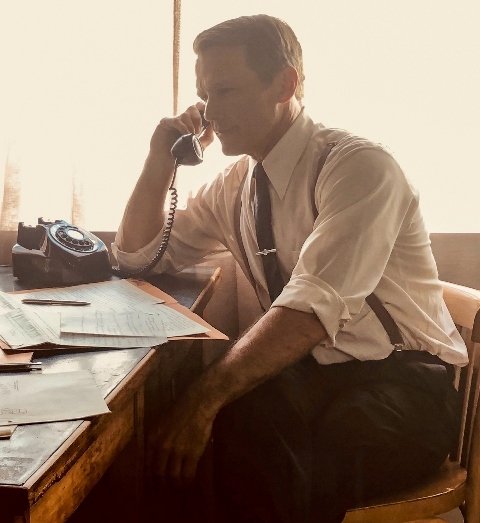 Palau’s mentor, Ray Stedman (Scott Reeves), in touch by phone. 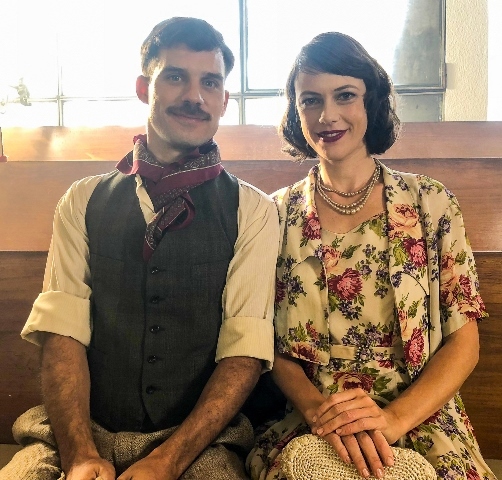 Luis Palau Sr. (Fabián Carrasco) and Matilda Palau (Alexis Moyano). 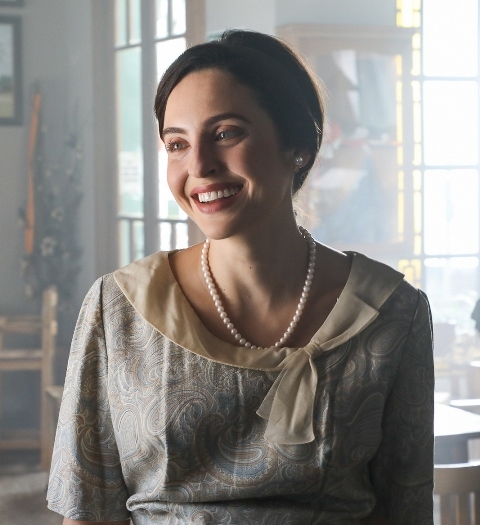 Pat Palau (Alexandra Bard) settles into Bogota.